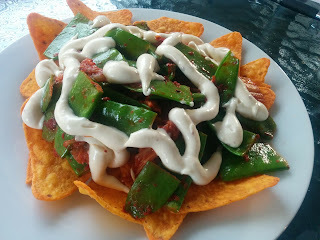 Kimchi nachos with snow peas and garlic mayonnaise! Tonight I felt like something fun for dinner! 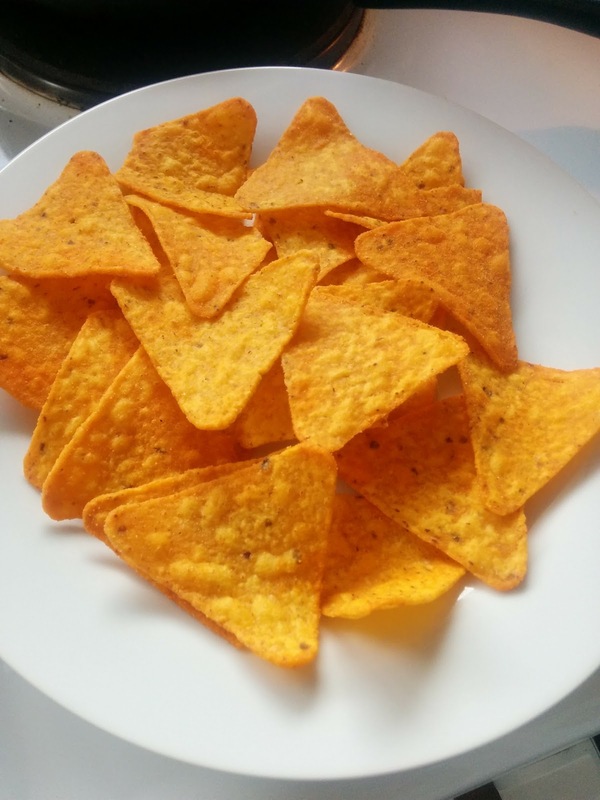 I had snow peas and a bag of corn chips. Corn chips are always fun and snow peas are healthy. 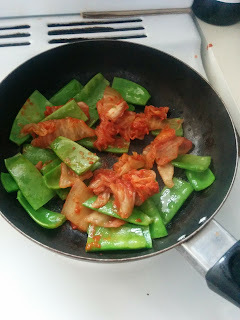 I was originally just going to eat the a few chips as a snack, but when I saw the snow peas and kimchi still in the fridge I thought I could make up some sort of Korean-Australian fun dinner. I just fried the kimchi and chopped up snow peas together and poured it all the plate of corn chips. 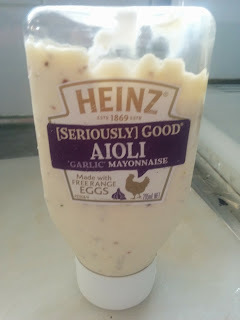 While I was looking for some cheese to melt over the nachos I found this garlic aioli mayonnaise. This seems appropriate because Koreans like egg and garlic! It was certainly fun and healthy, but wasn't spicy enough for me. This is probably because I didn't actually add any spicy flavourings anyway! In hindsight I put too much mayonnaise because I felt kind odd after, exactly like when you eat too much egg or something. So if I was going to do it again, I'd put less on, obviously. I'd also probably add some meat or beans for some protein. 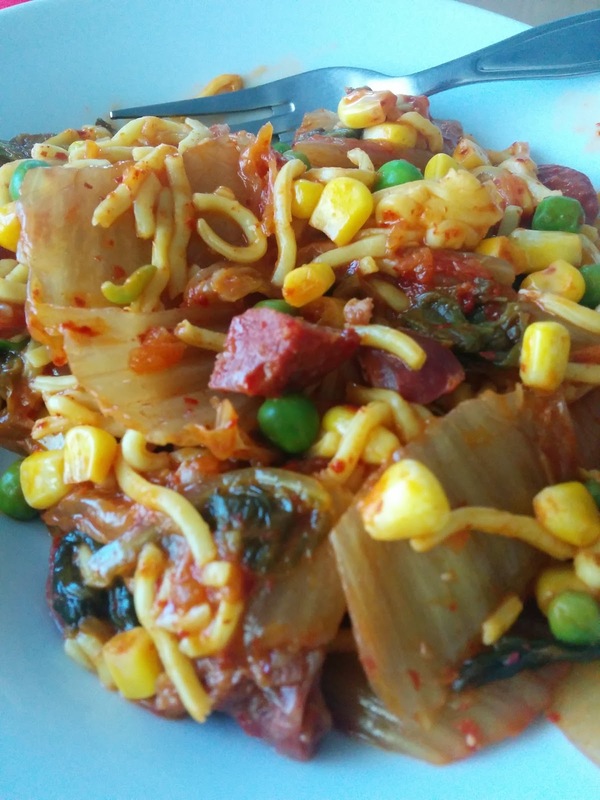 I like shelf fresh noodles, they are easy to make and of course last a long time after purchasing them. Just put them in warm water to soften and then fry them with everything else. For this meal I chopped up chorizo in small pieces and fried the noodles with kimchi, frozen peas and corn and the chorizo pieces. I ended up making enough for several meals. 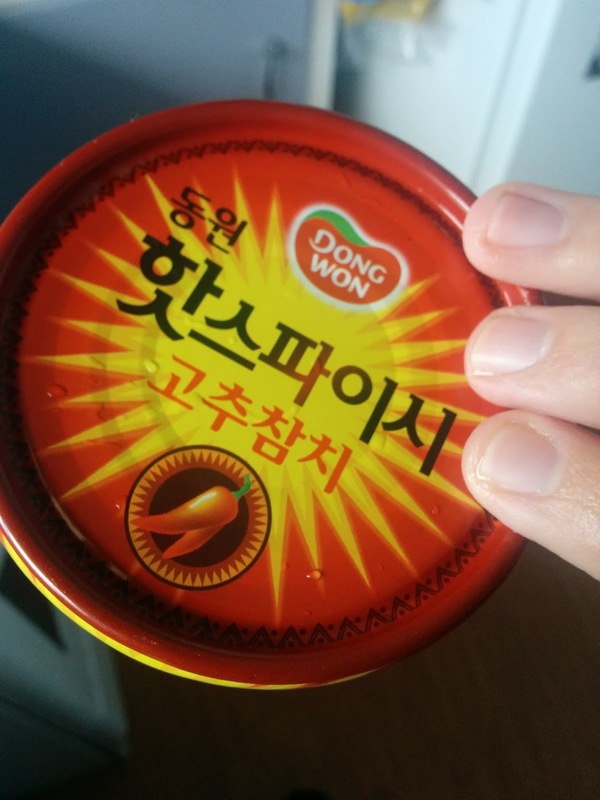 Mix this chilli tuna (which you can buy from the Korean supermarket) with some kimchi and spread it around some corn chips! 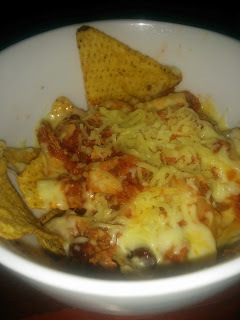 Microwave it with mozzarella cheese and get this!